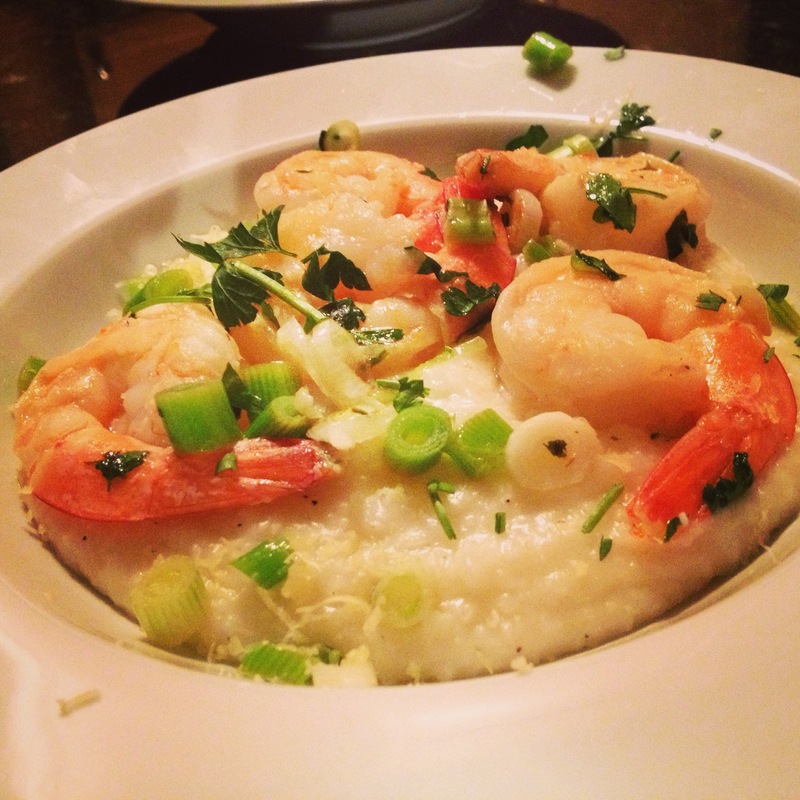 I don’t really think of myself as a shrimp and grits person and am always surprised by how badly I crave this dish. Then I remember it’s basically a cheese plus carb pile with the bonus of seafood. I also remember I’ve used this equation in many a dishes including this risotto, this risotto, this pasta, and this halibut situation. I also feel like this dish is a distance cousin of lobster mac and cheese and the more I can keep food in that family the better. You probably have salt/pep, butter, garlic and a lemon. 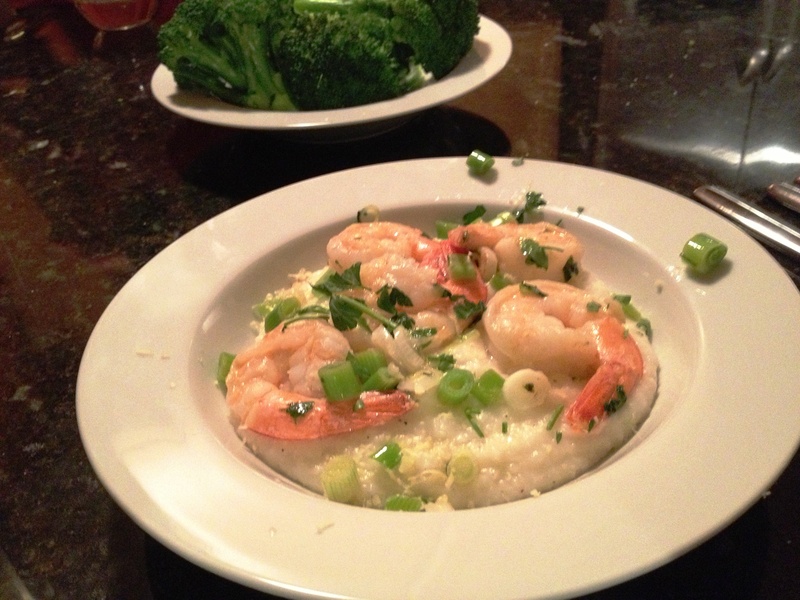 So all you really need are shrimp, cheese, grits and scallions. MAKE THIS HAPPEN. Prepare the grits according to the package. I boiled four cups of water. Added salt/pep. Added grits, reduced heat and cooked for 20 minutes. Remove from heat. 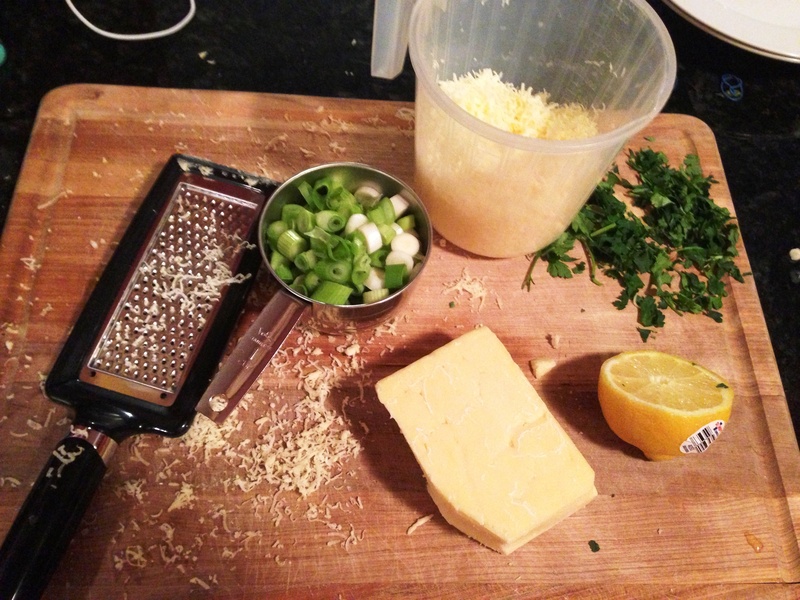 Add 2 tablespoons (or more I’m not stopping you) of butter and all the cheese. Try not to eat all of this before you’ve made the shrimp. Melt 3 tablespoons butter in a large skillet over medium heat. Pat shrimp dry and add to the skillet. Lightly salt/pep. Cooke until shrimp turns pink (happens fast especially if they are small). 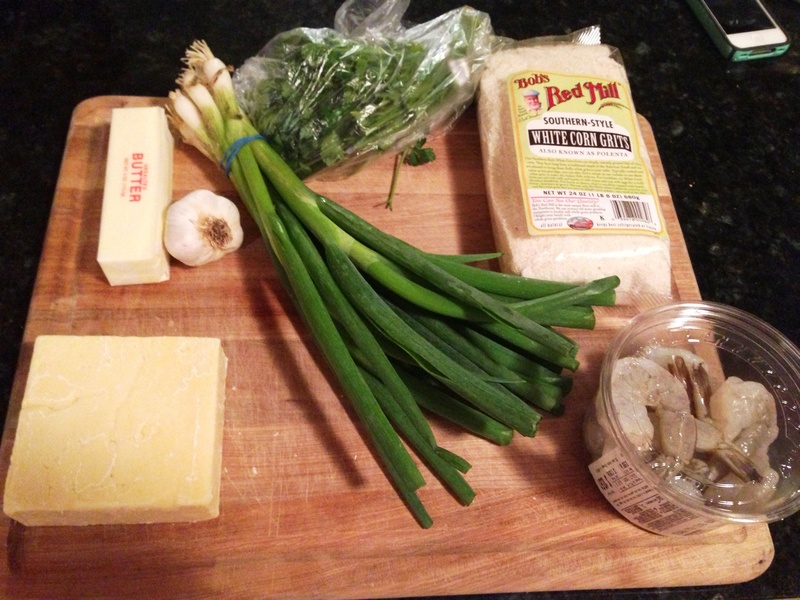 Add lemon juice, parsley, scallions and garlic. Saute for 3 minutes. 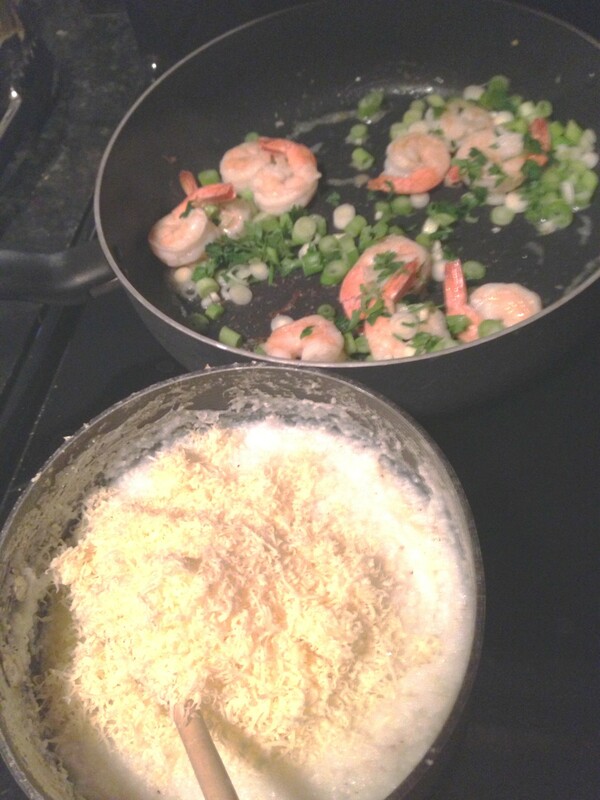 Make a huge mound of cheese carb heaven in a bowl and top with the shrimp mixture. I served with a side of steamed broccoli to sneak a little bit of wellness in.